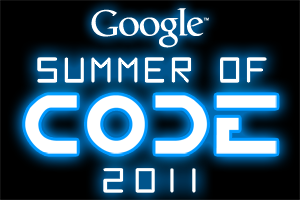 In about a week Google will accept applications from Free Software projects to be part of Google’s Summer of Code. This great project enables students who want to spend their summer time working on Free Software instead of a regular summer job the opportunity to do. Commonly called GSOC, the program helps students by paying them cash for their code. A successful project makes the student about USD 5000 which certainly is not bad for a summer job. The students get mentored and the project itself receives another donation of USD500 per successful student project. Of course GSOC is not just about the money: it is about learning and making a difference for the students; it is about having fun and learning for the mentors too; and the project often gains valuable new contributors! GSOC has shown to be successful in its goal of bringing new contributors to Free Software. Over the years many students continued to be involved in the projects they have participated in through GSOC. If you are a student and want to contribute and even make a career in Free Software we definitely advice you to think about being part of a GSOC program. But also if you are already an openSUSE contributor and you would love an opportunity to spend 8 weeks full time on your favorite project, this is for you! Many great applications and initiatives have been started as GSOC programs in the past like Cheese and Empathy. Many students who started with Free Software thanks to GSOC have been able to turn it into a great career, all that while having fun. openSUSE has unfortunately not been able to participate in GSOC last year. This year we do want to do better and for that we need help. We need people from our community to step up and be mentors, we need ideas for students to execute and of course we need students to submit proposals! Women, don’t forget you are very welcome to be part of openSUSE. We are a community which embraces diversity. We want everyone to have fun, no matter your, skill level, gender, race, cultural background or where you’re from. Everyone deserves an opportunity like this, so join us! You can find openSUSE’s wiki page on GSOC 2011 here and our list of ideas here. Many people have already submitted ideas but more are very welcome. « openSUSE Weekly News, Issue 163 is out! The “list of ideas” link doesn’t seem to work for me. I would participate in GSOC, but I’m scared to hell. David – you should go ahead and join… You’ll have a mentor who is there to support you if you need it, that is exactly what GSOC is about! Good luck.